Get the most competitive quotes on Baldwinsville, New York auto insurance by shopping with multiple insurance providers at once. Just enter your Baldwinsville, NY zip code above and we will compare quotes for you from the top car insurance companies in Baldwinsville. 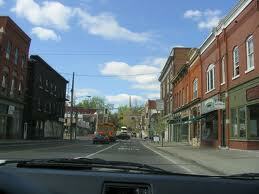 Alternatively, you can view a listing of auto insurance agents in Baldwinsville below and contact him/her yourself. We are an independent insurance agency, big enough to insure anyone and anything, and small enough to provide clients with excellent customer service. We sell all lines of insurance, including auto, home, life, commercial and financial services. 3-generation family owned agency. Recently relocated to Bville. We are a local, independent insurance agency able to meet your needs: home, auto, commercial, life, and specialty risks. See our web site for details.